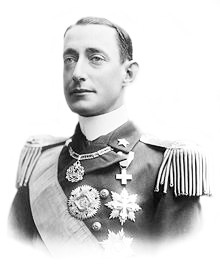 Italian Duke, cousin of King Victor Emmanuel III, famous researcher and mountaineer. Since childhood, he had two passions: the sea and the mountains. At the age of six he joined the navy, at 16 he sailed along both banks of South America. Then, on a small gunboat, he made long cruises to the Atlantic and Indian oceans. Immediately after this, there was a long voyage to the seas of India and China, to North and South America. Having been in different seas and countries, with different climates, having survived terrible storms and dead calms, the 20-year-old youth returned to his homeland as an experienced sailor. Having survived a lot of hardships, Abruzzi, instead of resting and relaxing, rushed into the Alps between sea voyages, surrounding the plain of his native Piedmont with an amphitheater, deciding to become a first-class climber. Already at the age of 21, he made ascents to a number of alpine peaks, before which few obeyed. It is known that the conquerors of mountain peaks, as a rule, remain indifferent to the beauty of the sea. Abruzzi combined the love of both elements. The first mountaineering achievement of Abruzzi was climbing in 1897 to Mount St. Elias (5488 m) in Alaska. He performed it with four of his comrades, among whom was U. Kanyi , and several alpine guides. In 1899–1900 he led an expedition to the North Pole on the whaling ship Stella Polare, which was equipped at the shipyards of Colin Archer. 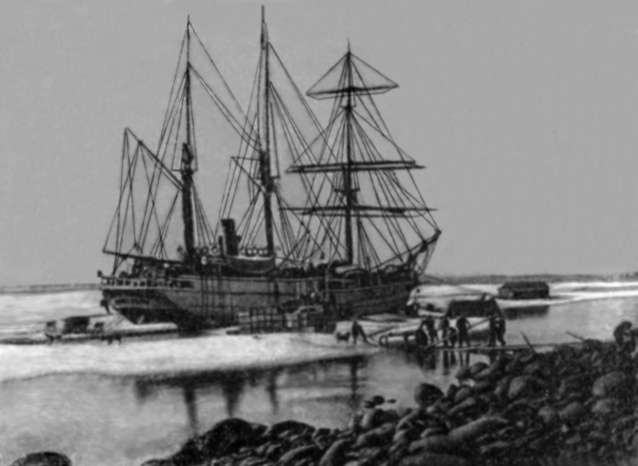 The expedition consisted of 20 people, Italians and Norwegians. When organizing it, the experience of F. Nansen was taken as a basis, to which Abruzzi treated with the deepest respect. "Stella Polare" off the coast of ZFI. 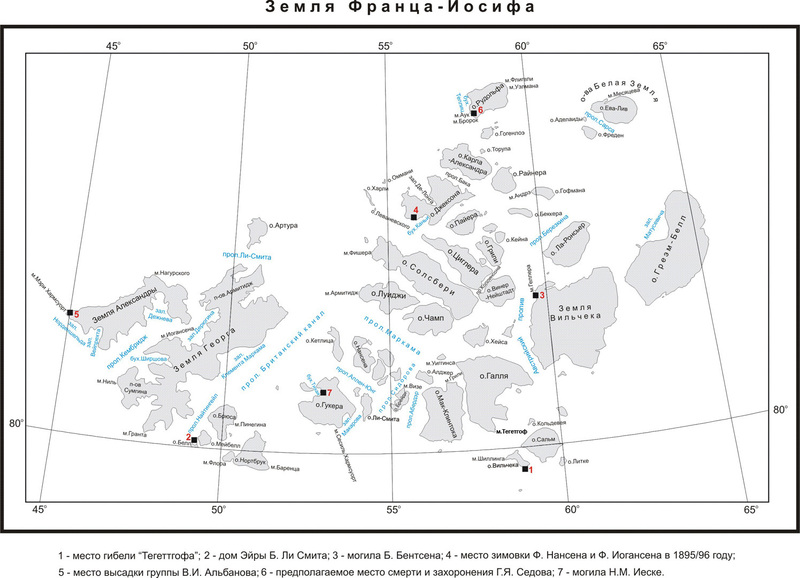 The expedition chose the Land of Peterman as the base north of the archipelago Franz Josef Land, from which they were supposed to try to reach the pole on dogs. Started on June 12, 1899 from Christiania (Oslo), entered Arkhangelsk, where they bought 121 dogs and equipment. 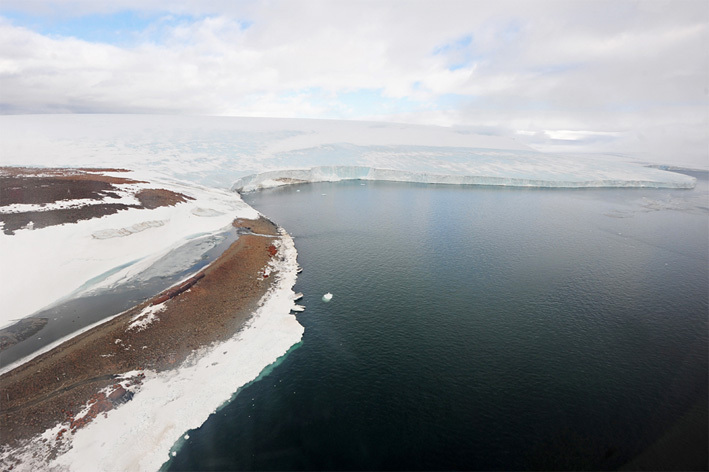 In mid-July, they moved to the PHI and reached Northbrook Island in almost pure water. Unloading part of provisions, fuel and four boats at Cape Flora, they also passed through the British Canal to the northernmost island of the archipelago, Rudolph , without any particular problems. Since Peterman's Land was nowhere to be seen, we decided to start from here. The ship was placed in the Teplits Bay in the west of the island, but the berth was very unfortunate: the bay was opened from the sea, and the ship soon received serious damage. In winter Abruzzi himself became very cold and he had to amputate two fingers on his hand. He could not participate in the march, and the polar party of four was headed by Captain U. Kanyi. To reach the pole failed. The hardest hike ended in reaching a record for that time mark at 86 º 34 ′ N. The absence of Peterman’s Land, which appeared to Yu. Payer , was found to be, 12 years later, this was confirmed by the navigator group V.I.Albanov. The Abruzzky expedition obtained very significant scientific materials: data on meteorology, tidal currents, determination of gravity and elements of terrestrial magnetism, collected zoological and mineralogical collections. By the end of the summer of 1900, the polar explorers managed to repair the vessel, and in September the expedition arrived in Norway. In subsequent years, Abruzzi traveled in Africa and Asia. In 1906, he explored the Ruwenzori ridge, and later unsuccessfully tried to conquer the Goodwin Austin peak in the Himalayas. Abruzzi participated in the Italian-Turkish and the First World Wars. The fleet under his command led successful operations in the Adriatic Sea, among which stands out a brilliant operation to evacuate the Serbian army (more than 100 thousand people). After Mussolini came to power, the royal family went into the shadows. Since 1923, Abruzzi has devoted himself to the development of agriculture in Somalia. His efforts built a large agricultural enterprise, which began to supply Europe with fresh vegetables and fruits. The most important factor was artificial irrigation, there was a catastrophic lack of water. The duke personally planned a system of reservoirs and irrigation canals. Here he also found personal happiness, having married one of the Somali princesses. To solve the problem of creating a reservoir system, Abruzzi undertook several research expeditions to the sources of rivers in the mountainous regions of Ethiopia. During the last of these, he fell seriously ill. The doctors did not manage to make the diagnosis. He died in Somaliland in northern Somalia. He was buried on the banks of the river Shebeli. Abruzzi's notes on his polar expedition and mountain climbing in Asia have been translated into several foreign languages. 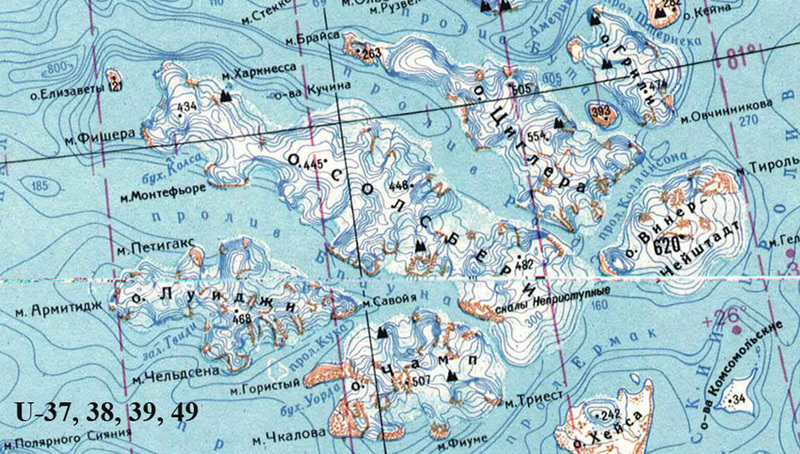 An island (Luigi) in the center of the Franz Josef Land archipelago. Opened in 1895 by the expedition of F. Jackson . The name given later. 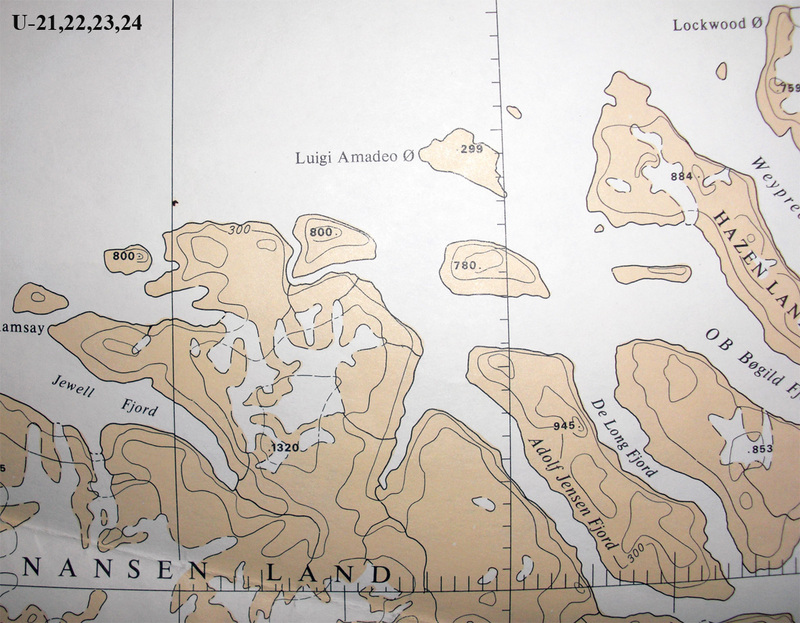 An island (Luigi-Amadeo) in the Lincoln Sea northeast of the Nansen Land peninsula. 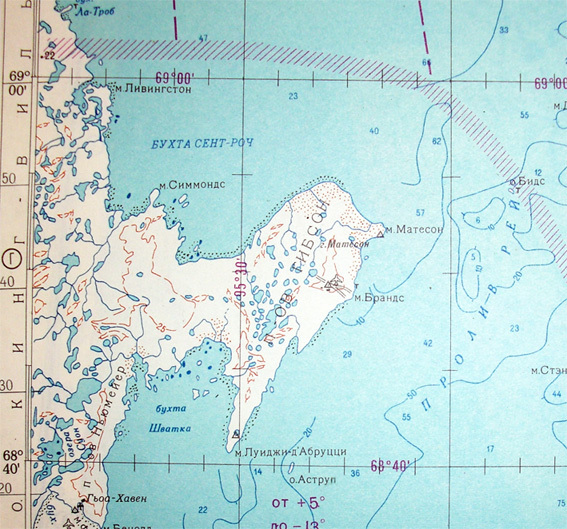 Cape in the southeast of King William Island in the Ray Strait. Named in 1903 R. Amundsen.